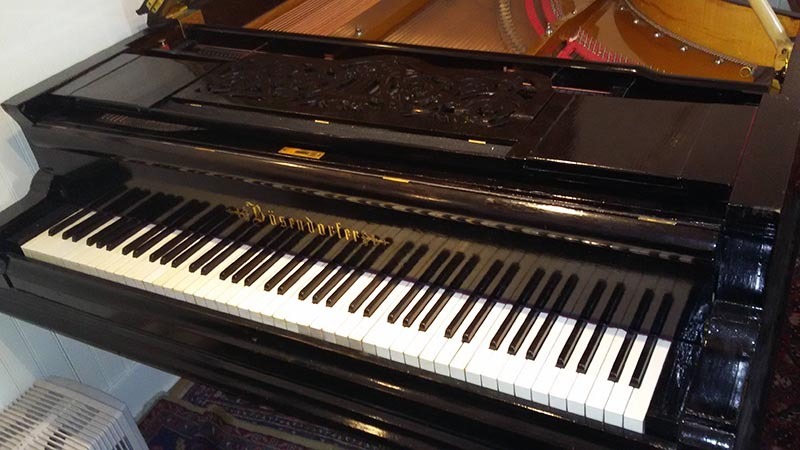 Theodor Leszetycki Music Society in Warsaw bought the original Bösendorfer piano from 1882 by Theodor Leszetycki. The purchase was made thanks to the funding from the Ministry of Culture and National Heritage. On the initiative of Prof. Hubert Rutkowski, the First German Piano Competition of Polish Music will take place between 2nd and 5th of July 2013 at the Hamburg University of Music and Theatre. The competition is open to piano students from five north German music universities such as Hannover, Bremen, Rostock, Lübeck and Hamburg. This project builds on the already successfully proven cooperation between the Theodor Leschetizky Music Society in Warsaw, the Consulate General of the Republic of Poland in Hamburg and the Hamburg Academy of Music. This cooperation has begun in 2011 with an organization of the University Competition for a Concert Scholarship in Poland and the Special Prize. Germany, as an important partner of Poland in Europe, is clearly identified as a country with an distinguished musical culture as well as very sensitive to all its manifestations. In this context, Hamburg is perceived historically and contemporary as the major music center par excellence (birthplace of Brahms and Mendelssohn).